A great look for under a grand. 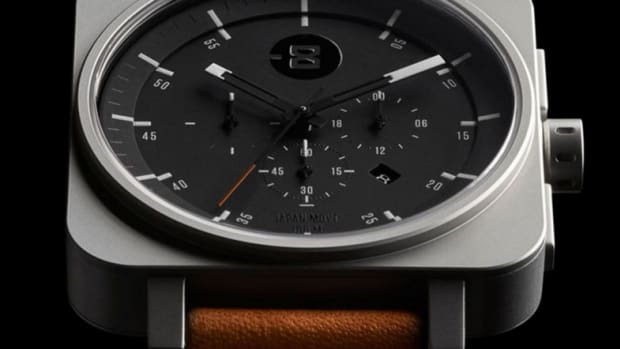 The latest watch from our buds at Autodromo is pretty damn cool. This special edition model only has 500 total numbered pieces, 100 of those pieces being plated in 18K Gold and priced at $1,200. 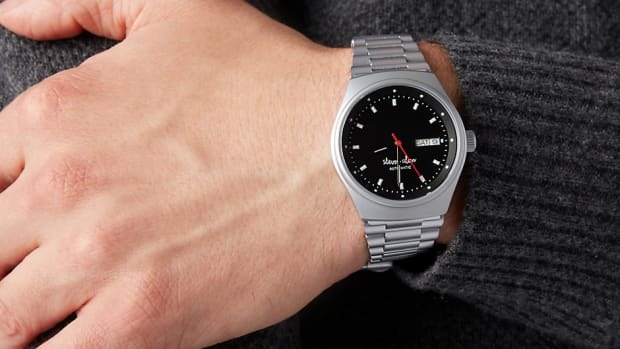 The regular stainless steel model is priced at $775. 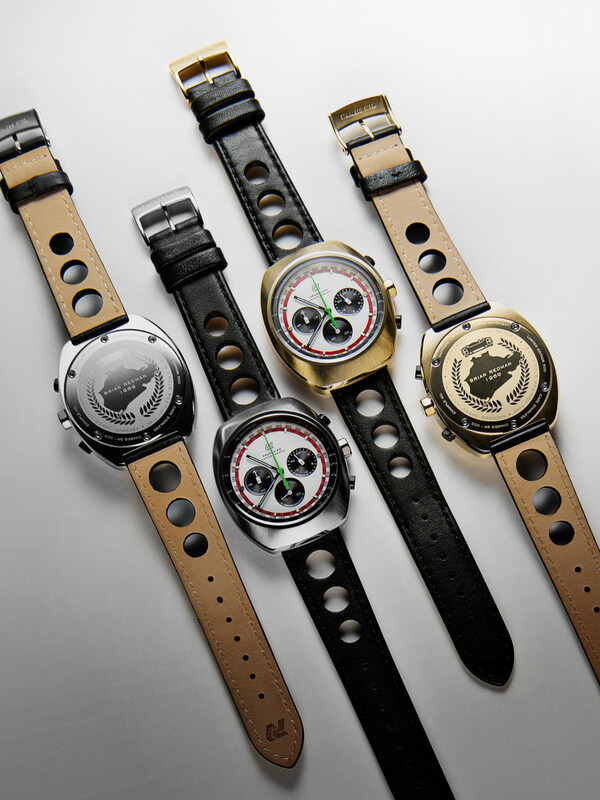 They're a gorgeous and cool look that honors legendary racer Brian Redman. For those that don't know his story, here's a primer from the watch makers themselves. 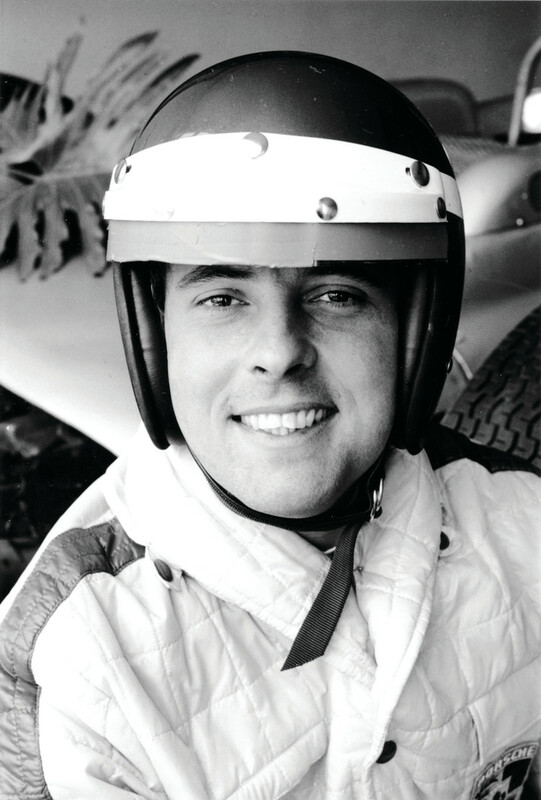 Brian Redman’s remarkable racing career encompassed one of the most exciting and dangerous eras in motorsport. From the mid 1960s through the late 1970s, Brian drove to victory in many of the greatest cars of the period, from the Ford GT40 to the Porsche 908 and 917, as well as the Ferrari 312 PB, Alfa Tipo 33 and BMW CSL. His popularity and skill as a driver is one of the few things Porsche fans and Ferrari fans can agree on, and his roster of team mates reads like a who’s who of the Prototype Era. In addition to his illustrious career in endurance racing, Brian was also Formula 5000 champion 3 times in a row from 1974-1976. A living legend, Brian continues to be involved directly with vintage racing, and still can be seen behind the wheel of many of his former racing machines. 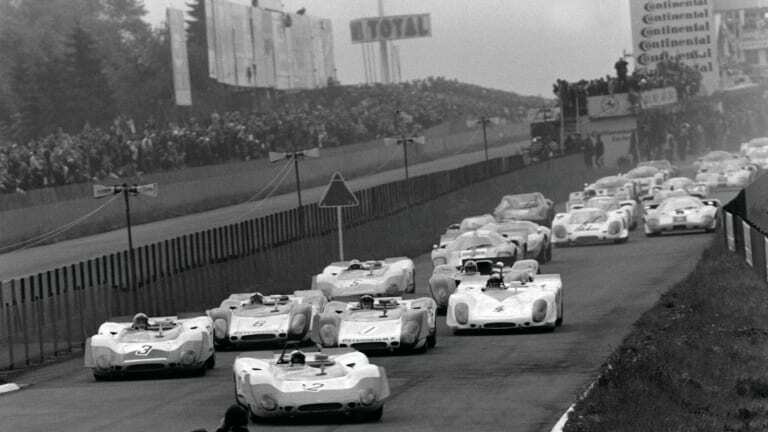 When a young Brian Redman joined the Porsche factory racing team, he had a choice between being a Number 1 driver in his own car, or sharing his car as Number Two with Swiss driver Jo “Seppi” Siffert. Brian chose to pair with Siffert even though it relegated him to Number Two status, and together the team mates won 5 out of 10 championship races in 1969, and went on to win 3 of 10 the following year, including the Targa Florio. 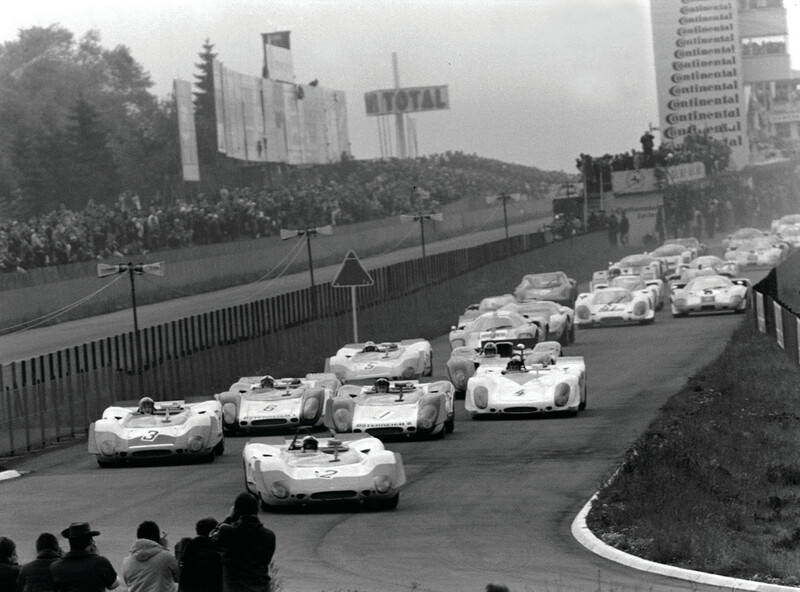 At the Nurburgring in 1969, Siffert had crashed the new Porsche 908 Flunder in practice, meaning that Redman and Siffert would run the race in a spare car entered by Porsche Salzburg. Emblazoned with the Red and White colors of Austria, the Porsche 908/02 was not the latest equipment, but Brian was still able to outrun Pedro Rodriguez in the Ferrari to clinch a victory against the odds. 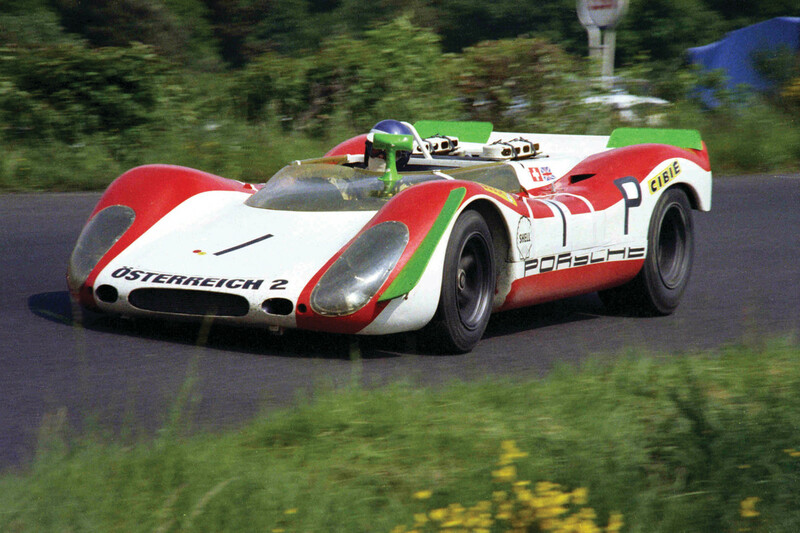 The Brian Redman Prototipo bears the same Red and White paint scheme as the Porsche Salzburg car, with a green centerstop hand referencing the bright green accents on the race car that helped to differentiate it from a distance. The caseback features a map of the tortuous Nurburgring Nordschleife circuit, which featured over 170 corners winding through the Eifel mountains. 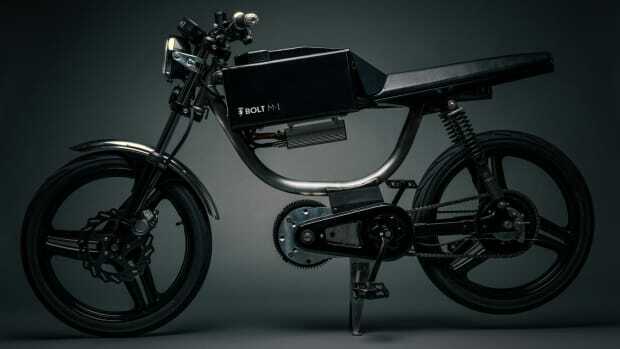 Great racer, cool dude, stellar watch design. We want.